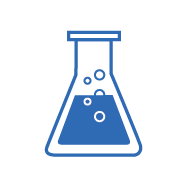 Labs is our developer space where you’ll find a bunch of cool beta projects, code bits, and other developer tools that add superhuman like functionality to your CMMS. If you’ve developed an awesome tool or groundbreaking functionality, and would like to make it available to our growing community, we’d love to hear more about it. An open source project that brings our CMMS to Google Glass™ using our API. Requires that our API be enabled. Use your Raspberry Pi mini computer to collect meter readings and send them directly to your CMMS using our API. Use your Arduino or other device connected to your serial port to collect meter readings and send them to your CMMS using Java and our API. Translate your CMMS into 90+ languages with this Google Translate tool. You’ll need to agree to Google’s Terms of Service to use it. Contact support to turn on Labs. Then turn on Google Translate in the Settings area of the CMMS. Upload CSV files containing your equipment meter readings to your CMMS via our API. Check out our powerful developer tools and starting building on our platform today. Step-by-step instructions to get started with our API. Complete documentation on the inner workings of our API. Download our API libraries to help with your development.